If there are concepts you do not understand or if you have any doubts please feel free to ask someone, or consider using Google to get them answered and clarified. We will be writing our code using the Microsoft MakeCode Block based coding editor. So let’s open up the code editor for the BBC micro:bit using the following Link. At the end of the tutorial are some challenges. We would encourage you to take on the challenges and enhance your learning. This development track makes extensive use of the BBC micro:bit. 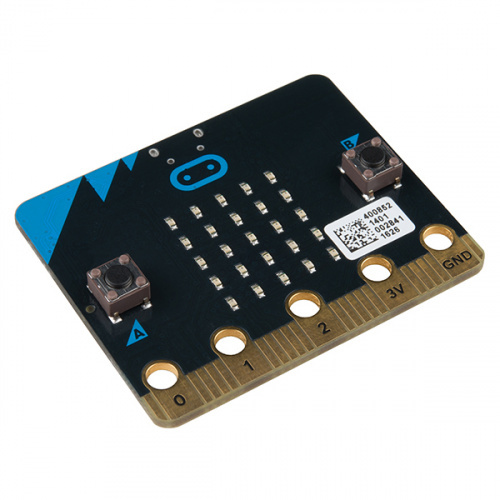 If you haven’t purchased a BBC micro:bit yet you might want to head over to OzToyLib and pick one up now. We would recommend that you pick up the BBC micro:bit kit which comes with a battery pack, usb cable and the real micro:bit. We will be using the official online python editor to write code for all our tutorials. No investment required here. Please note that the BBC micro:bit needs to be purchased separately from the Tinker Kit for BBC micro:bit. 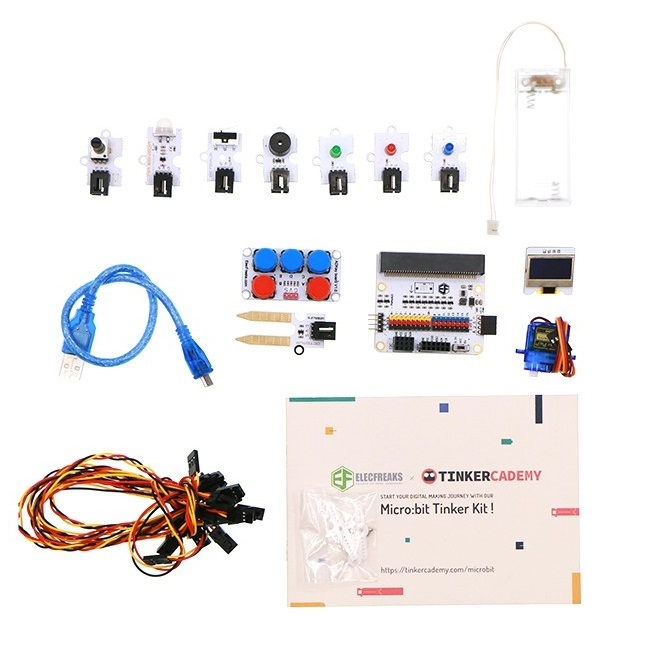 You can purchase the Tinker Kit for BBC micro:bit at OzToyLib. You can also look up each of these products at your local electronics hobby store. You can read more about the BBC micro:bit at the microbit website. Also see Kitronik’s resources here – Parents Complete Guide To The BBC micro:bit. Look for a BBC micro:bit re-seller here and pick one up now.